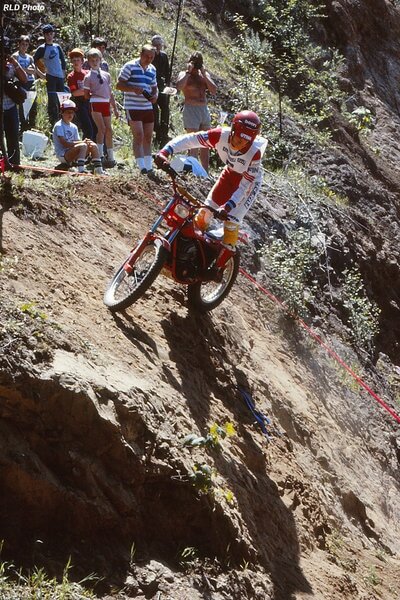 ​Because of transport cost and shipping delays many riders rode stock bikes borrowed from dealers and importers for this World trial. 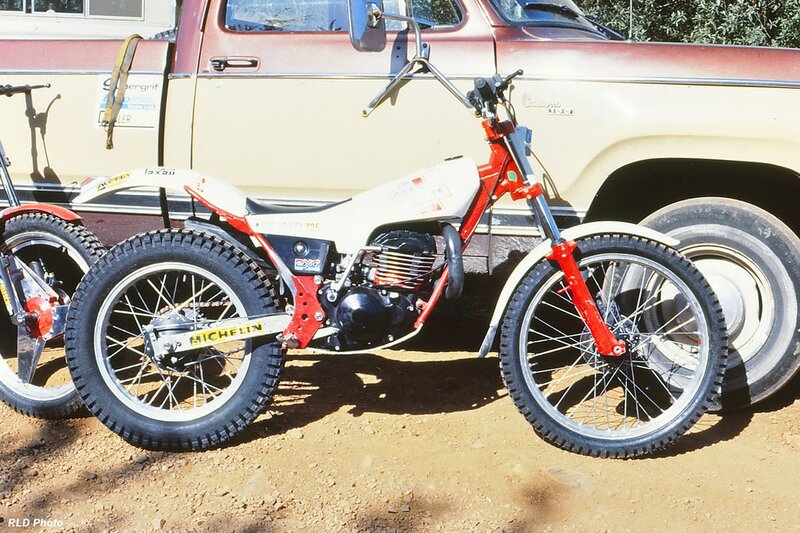 However , as you can see this was the actual factory Montesa 335 of Diego Bosis. 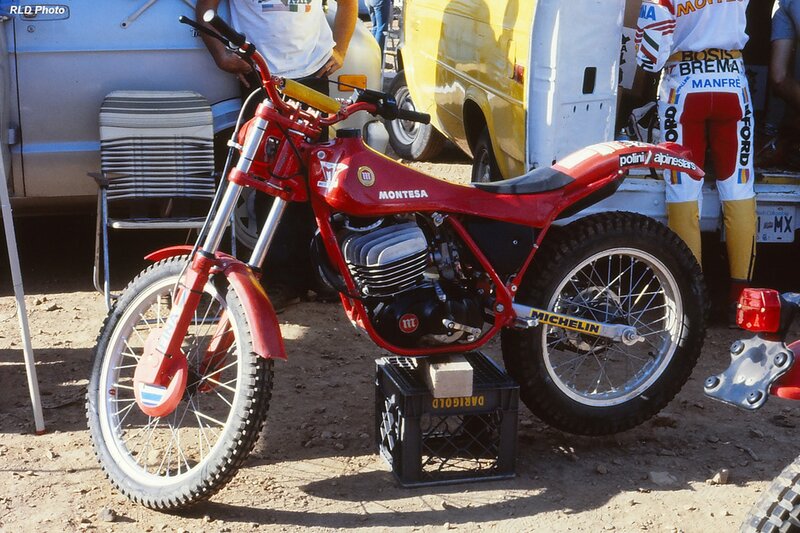 It is far from stock and in reality was a modified Montesa 330 converted to mono. It featured a different exhaust system , a drum rear when the 1985 330 had a drum and the 1985/6 335 had a rear disc.The late Diego can be seen behind the bike leaning into the hired Montesa team truck. Eddy Lejeune seen here with his 1986 Honda Rothmans 270cc RTL. Lejeune's mechanic was for this year only Derek Edmondson, who was mechanic also to team mate Steve Saunders. 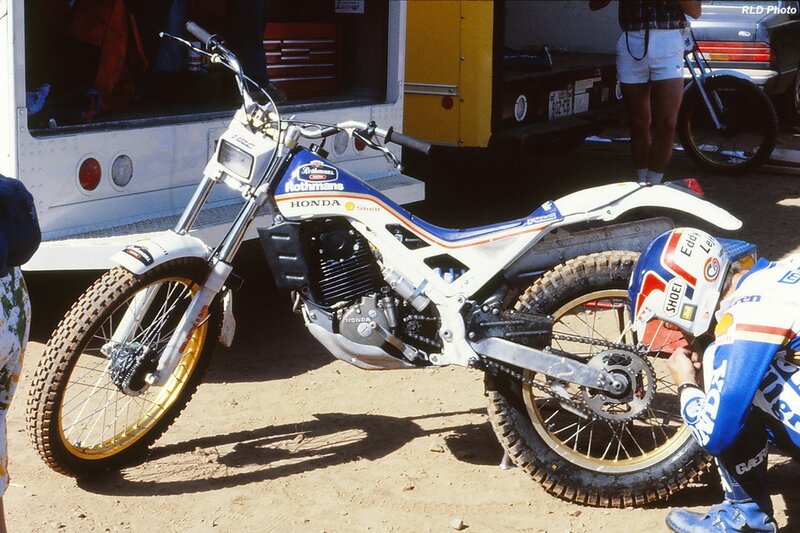 The Honda was specifically created by Japanese test riders and with no input from either team mate, however both riders rode the earlier 1985 Honda model and its likely any feedback they gave was fed back and built into the below bikes for the next season. However they did not test ride them prior to receiving them. 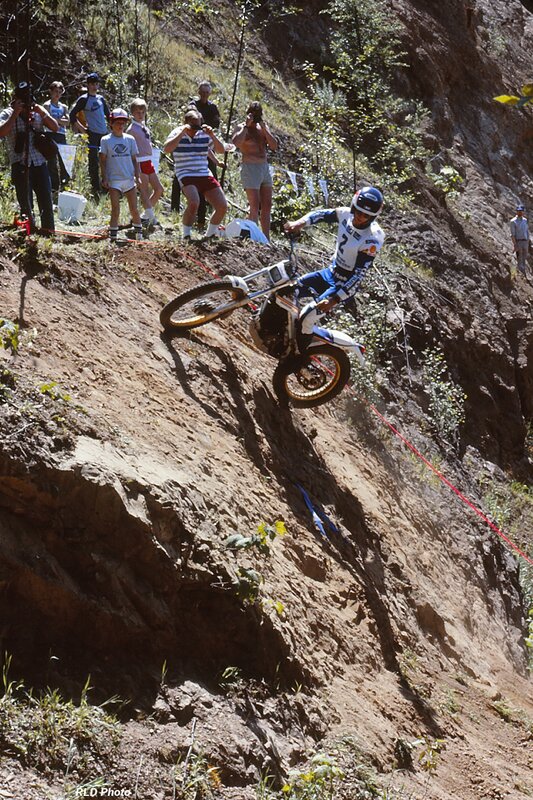 It is known that 4 different 1986 Rothmans bikes , as below were made in Japan and shipped over to the Rothmans team. 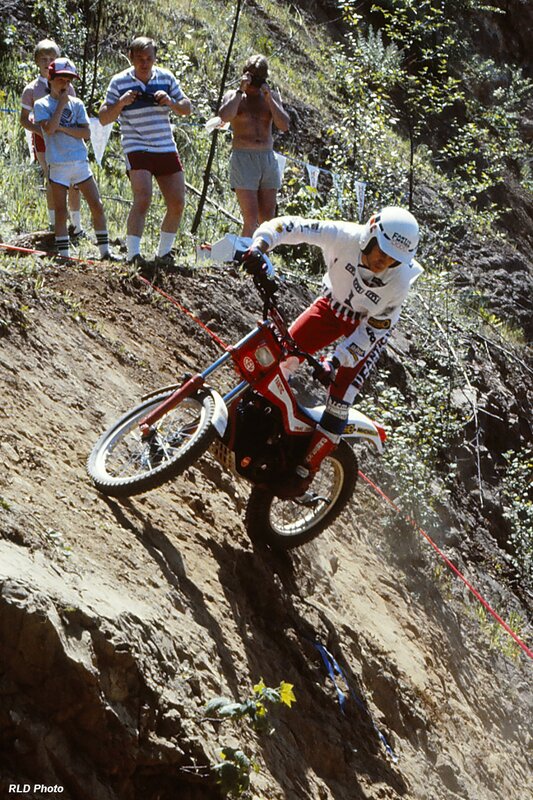 They were entirely custom made by HRC engineers, have virtually no stock parts and represent probably the most expensive Trials bikes ever produced. Saunders and Lejeune naturally had bikes arranged differently in addition to their engines. Saunders liked an engine that revved more than Lejeune who prefered an engine with more low grunt. Despite the 2 year contract which 3 times World champion Lejeune signed, Rothmans pulled out of the Sport at the end of 1986 as part of a larger strategic removal from motorsport.HRS were then and still are today fastidious in their requirement that all of their bikes , or critical parts (complete engine internals) are returned to the racing department in Japan or crushed. The task of crushing the 4 team bikes was given to mechanic Derek Edmondson. 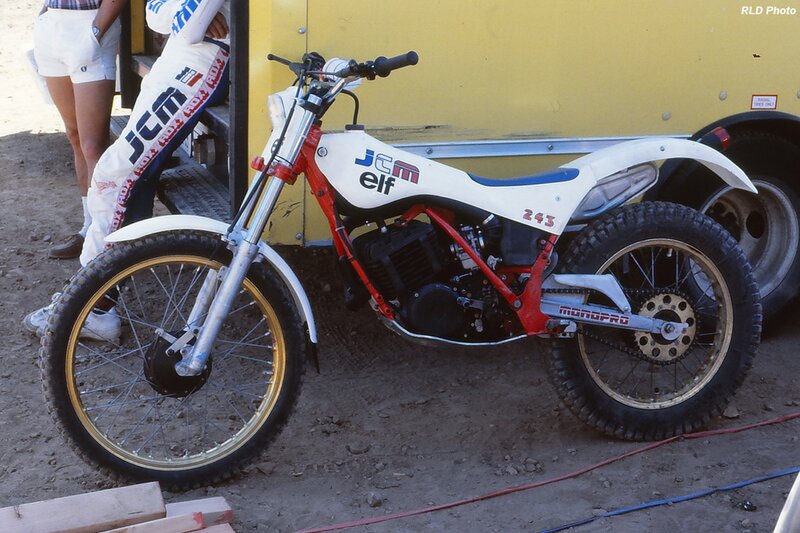 A number of these 1986 team bikes however were never crushed and were sold to Honda collectors. 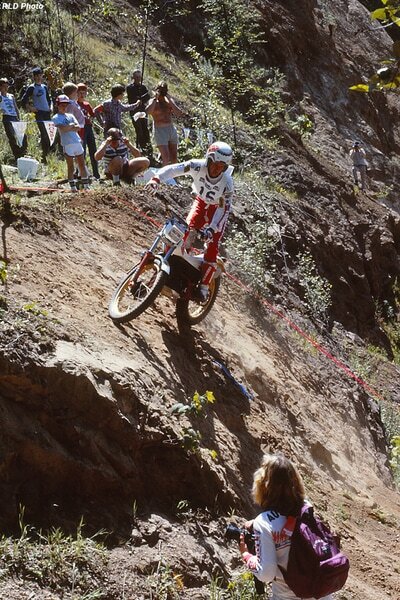 It appears that pushing the most desirable bikes in the history of the sport into the crusher, was just too much to ask. 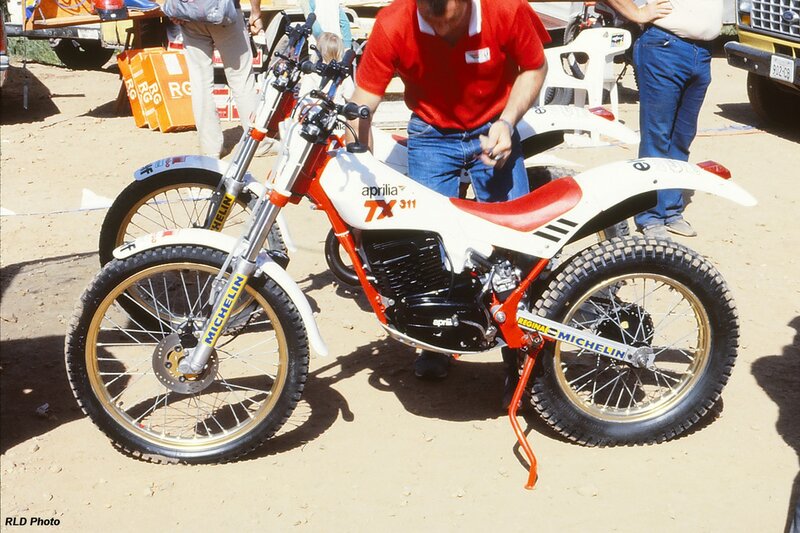 The 1986 GasGas Halley 325cc PXC of Gabino Renales. 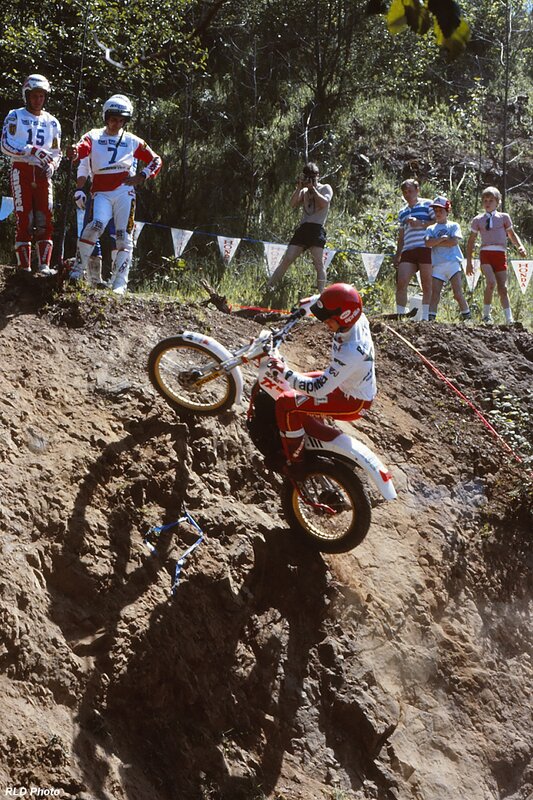 Whilst this GasGas was the first production model for GasGas , it was not created by them at all. It was created by bikes designer and visionary Josep Paxau under contract from GasGas , after the prototype that Gasgas created themselves was in their own admittance so awful. The Halley was named after the Halley comet which appeared in the skies during 1985. It featured originally a Villa engine ,however when Villa fell into difficulties it was copied and greatly modified by GasGas and produced in bulk. 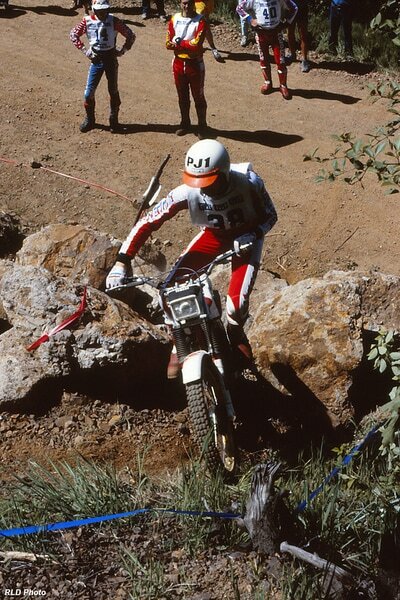 Paxau continued producing new models for GasGas up until 1999 , when he joined with Sherco operating at this time temporarily under the Bultaco name. Below is the Aprilia TX 311 of Philippe Berlatier , which appears pretty much standard. This is the JCM of Pascal Couturier. This model was designed and produced by Joel Correy, who was a motorcycle dealer and enthusiast at the time. Pascal can be seen leaning up against his hired truck. This is the 1985 Merlin Gallach replica for Joan Freixas. This model was created by Josep Paxau for Merlin , who agreed on the design and put it into production for 1985. Freixas was a good rider and also a test rider for Merlin. This competition bike featured non standard front forks and also a front disc brake , again not standard. The wheel are from the 1986 production Merlin and were considered stronger than the 1985 magnesium wheels which sometimes snapped and broke up. The Gallach replica was named after Spanish champion Lluis Gallach who rode for Merlin in 1985 , but whom did not input to greatly into the bike itself. 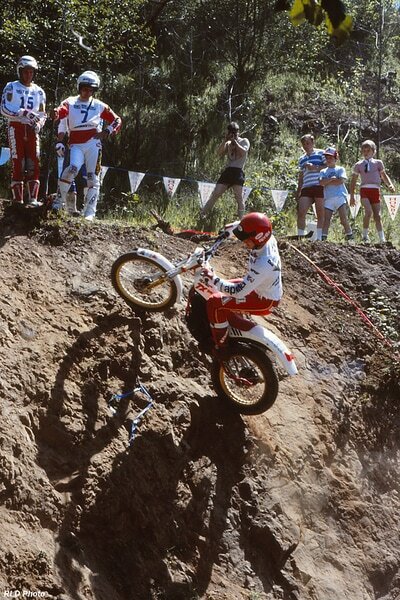 At the time of this photo Gallach was riding with Montesa. 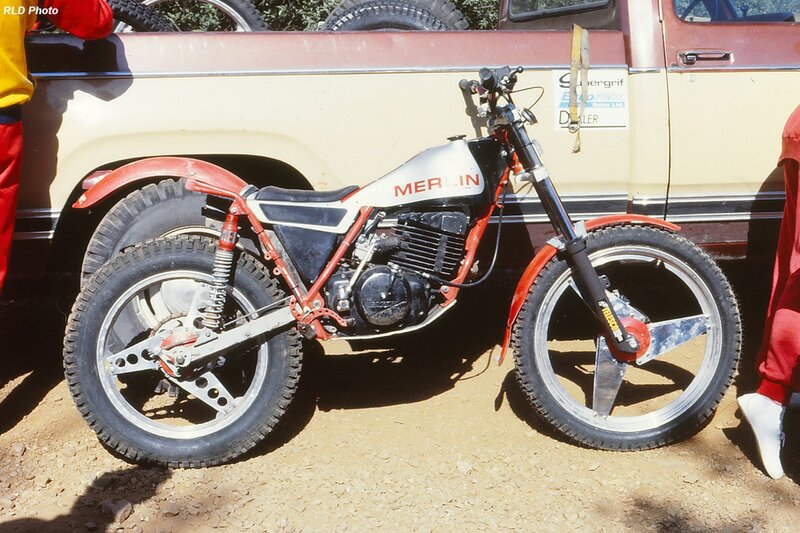 Joan started his full time motorcycle career with Merlin who were absorbed into GasGas in 1988. Joan started as a factory rider and stayed with GasGas as a factory quality control manager. 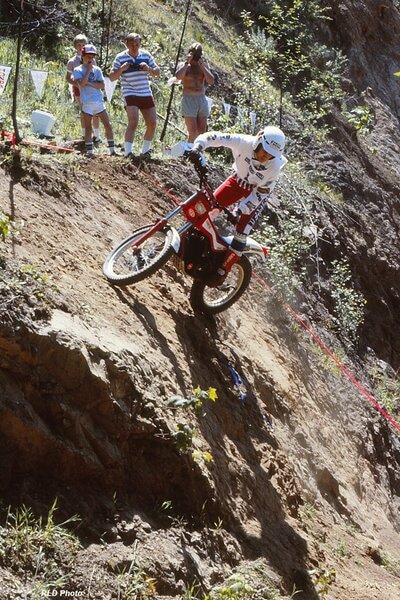 He remained in joint founder Pibernat's inner circle until circa 2010, when he followed Pibernat from GasGas to Jotagas. 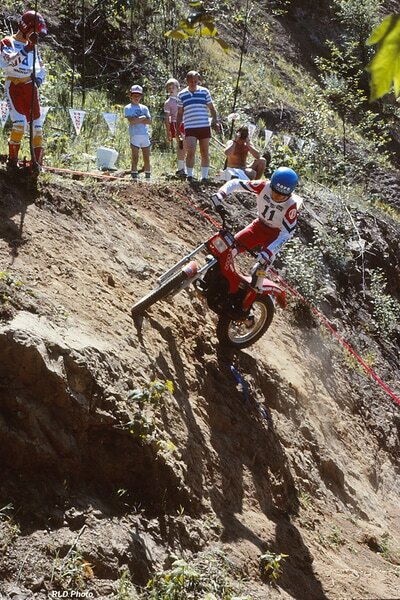 Here are some photos taken by Reese Dengler at Round 6 of the World Championship , held in 1986 at Walker Valley, Washington USA.